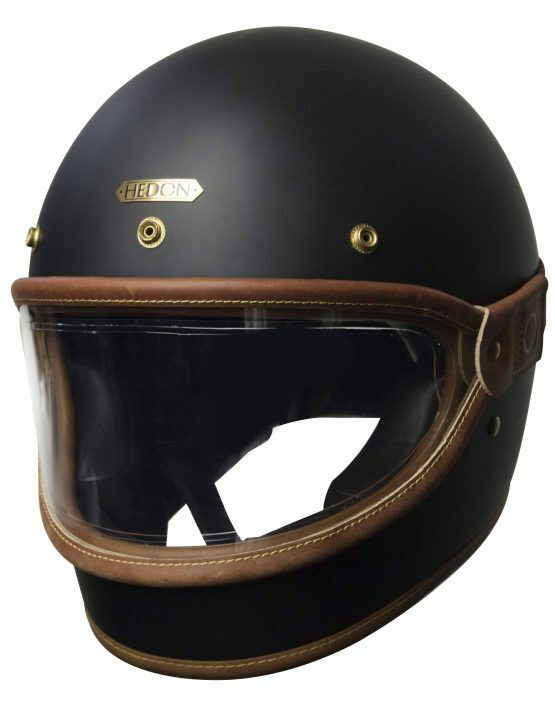 This gorgeous goggle visor from HEDON is to be worn with any of their Heroine Classic Helmet range and not only protect your face but look really cool! This visor is handcrafted in London, trimmed with real calf leather and is a visor made to last. 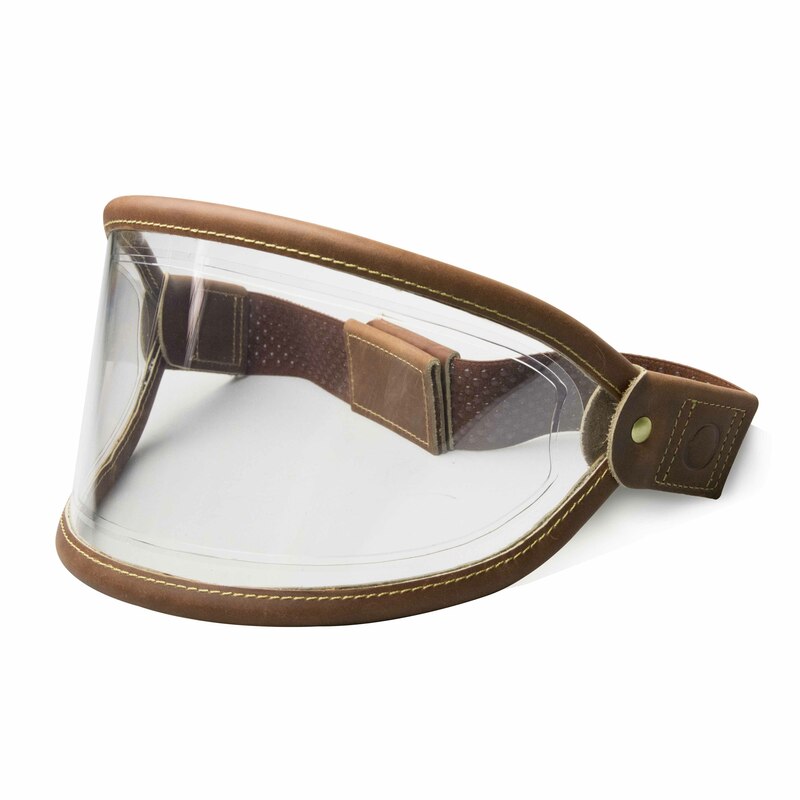 The goggle visor is also lined with anti-fog double lens to give you the clearest vision no matter the weather. 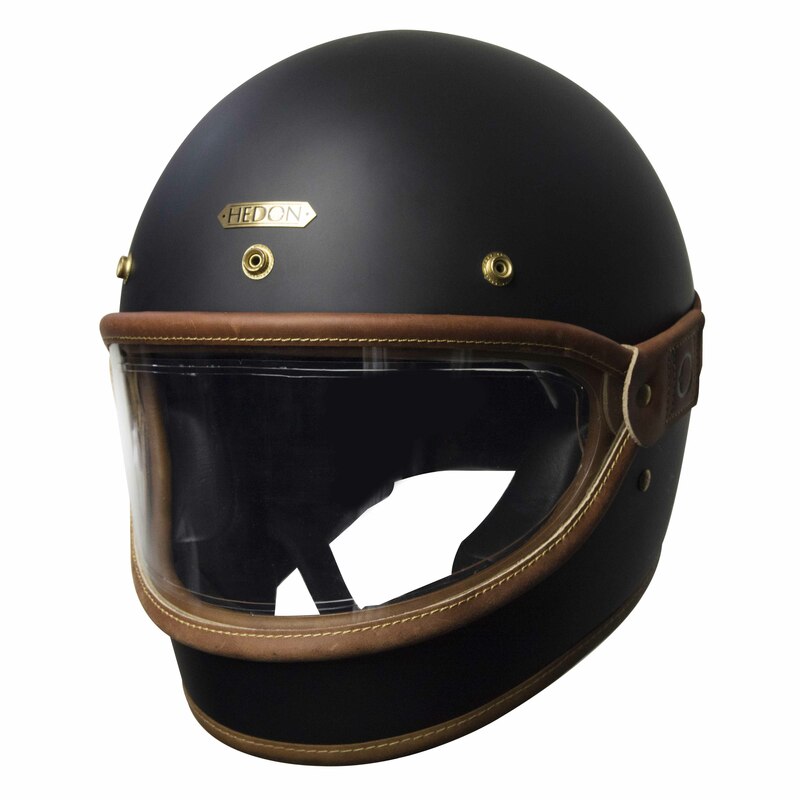 Visor available with black or brown trim and three hardware options to choose from – steel, brass and gunmetal. We recommend the the loosest clip for XL/XXL helmets, second clip for M/L helmets and the tightest clip for XS/S helmets. The elastic is of the highest quality but to look after it please don’t overstretch.